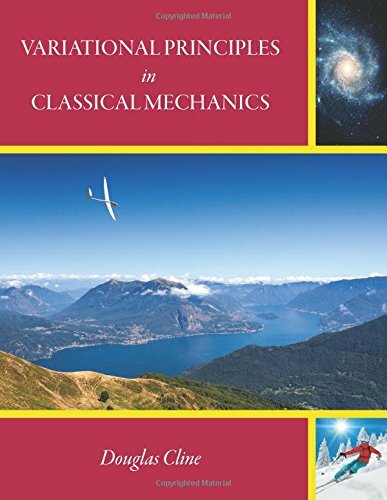 This book introduces variational principles, and illustrates the intellectual beauty, the remarkable power, and the broad scope, of applying variational principles to classical mechanics. Applications presented cover a wide variety of topics, as well as extensions to accommodate relativistic mechanics, and quantum theory. We will study some famous and amusing problems. We will recast Newton's mechanics in languages (Lagrangian and Hamiltonian) which are not only practical for many problems but allow the methods of mechanics to be extended into every corner of physics. An important reference for any researcher in kinematics, it covers many important results for analysis and design of mechanisms. The authors used the adjective theoretical in the title in order to distinguish the subject from applied kinematics. This textbook is an introduction to the essentials of modern Continuum Mechanics for engineering graduate students. The book is self contained and suitable for self study. It establishes certain classical continuum models within a modern framework. Contents: The Hardest Part of Mechanics (The Fundamentals); How Newton Analyzed Planetary Motion; Systems of Particles; Conservation Laws; Rigid Bodies; Constraints; Holonomic and Non-Holonomic Constraints; Statically Indeterminate Structures.